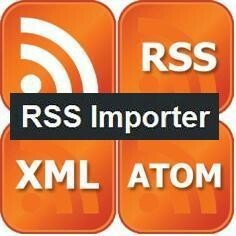 This mod allows the Site Administrator to setup RSS Feeds that automatically populates the site with Articles. A cron job will run periodically (hourly or daily as set by Admin) and Auto Fetch the Articles. 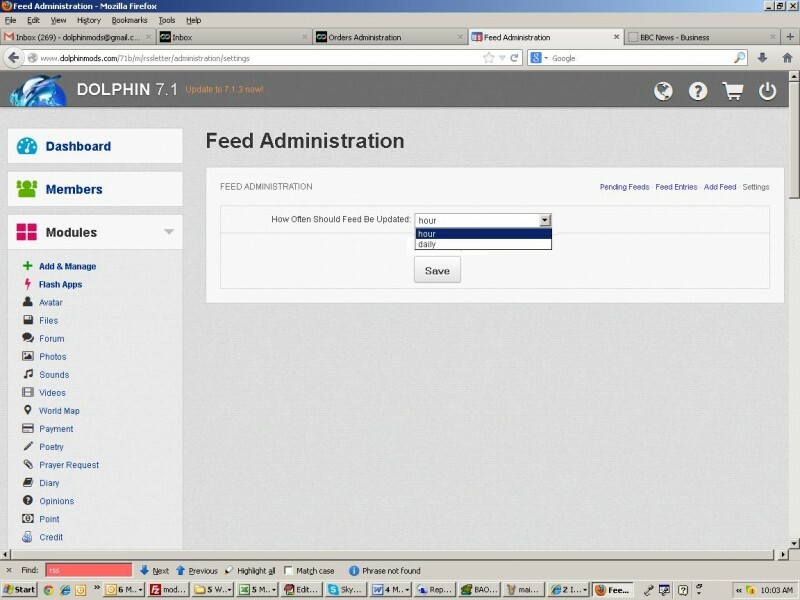 You can setup multiple Feeds to run at the same time. 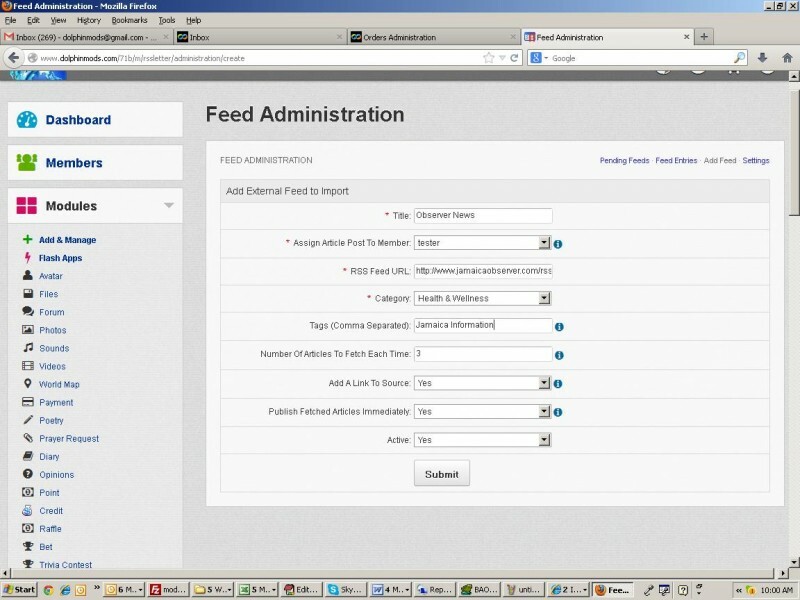 Articles imported from Feeds are specifically flagged in the database so they can be isolated from user input Articles if the need arises. Assign Article Post to Member - Choose from a list of Administrators who should be assigned as the Article Author. RSS Feed URL - The RSS Feed from which the Article Posts are Automatically imported. Tags (Comma Separated) : The mod will attempt to pull the Tags from the Meta Header of the Feed Source Link. You can enter default Tags here and they will be used if no Tags are available from the source link. Number of Articles to fetch each time - You can choose to import all articles available in the Feed at the time of the import or just a specific number. 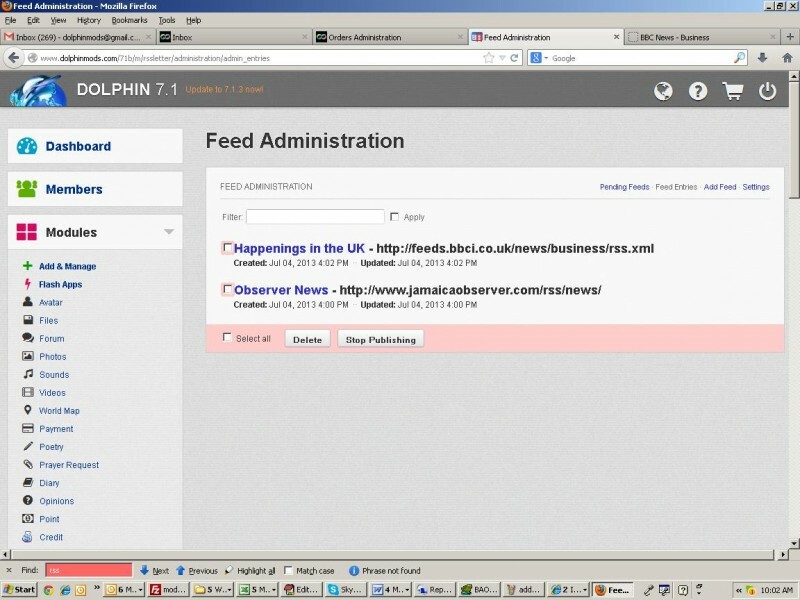 Add a Link to Source - Administrator can choose to make reference to the source of the Article. Active - Whether the feed is published or not. Another great mod and worth every cent paid for it. not worked for me. Sent many request for update or resolve but seems like Modzzz is very busy. he has many mods which are very good so buy those. This one still not working so don't spend money till its working again. This module is fully functional when the correct version is installed. There are two versions, one that works with Dolphin default Articles module and the other that works with my Advanced Articles module.